The Inner Child lives within all of us, it’s the part of us that feels emotions and is playful, intuitive, and creative. Usually hidden under our grown-up personas, the Inner Child holds the key to intimacy in relationships, physical and emotional well-being, recovery from addictions, and the creativity and wisdom of our inner selves. 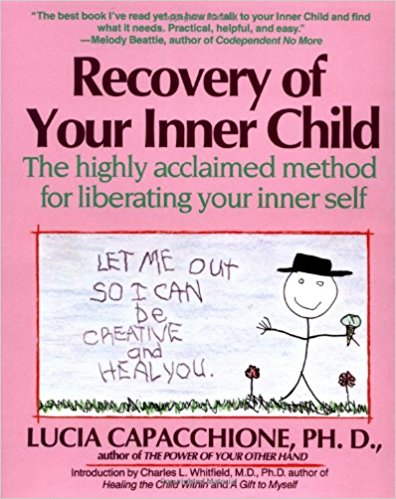 Recovery of Your Inner Child is the only book that shows you how to have a firsthand experience of your Inner Child—actually feeling its emotions and recapturing its sense of wonder—by writing and drawing with your non-dominant hand. Expanding on the highly acclaimed technique introduced in The Power of Your Other Hand, here Dr. Capacchione shares scores of hands-on activities that will help you to embrace your Vulnerable Child and your Angry Child, find the Nurturing Parent within, and finally discover the Creative and Magical Child that can heal your life.